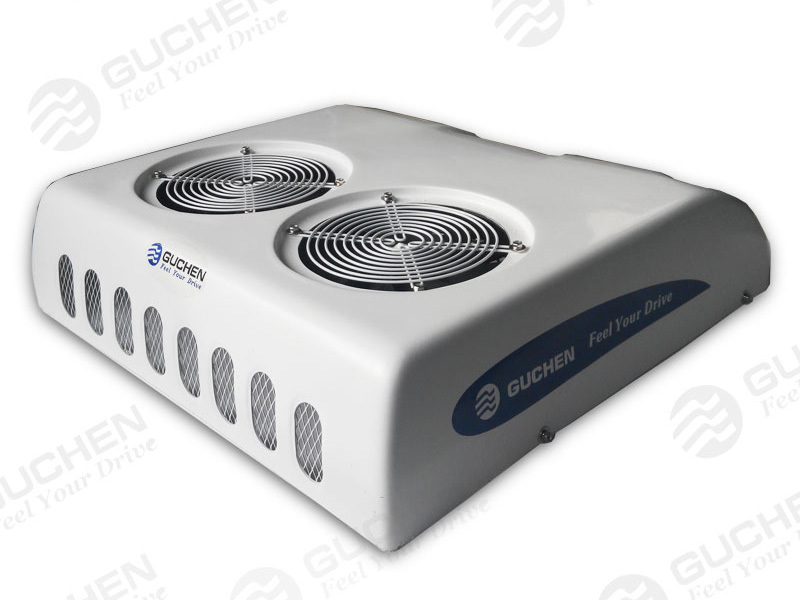 ● 3.5 KW cooling capacity. 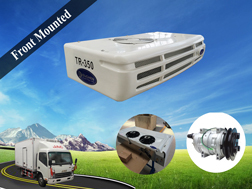 ● Developed special for tractor, tractor cab, truck cabin, trailer cab and other special vehicles. 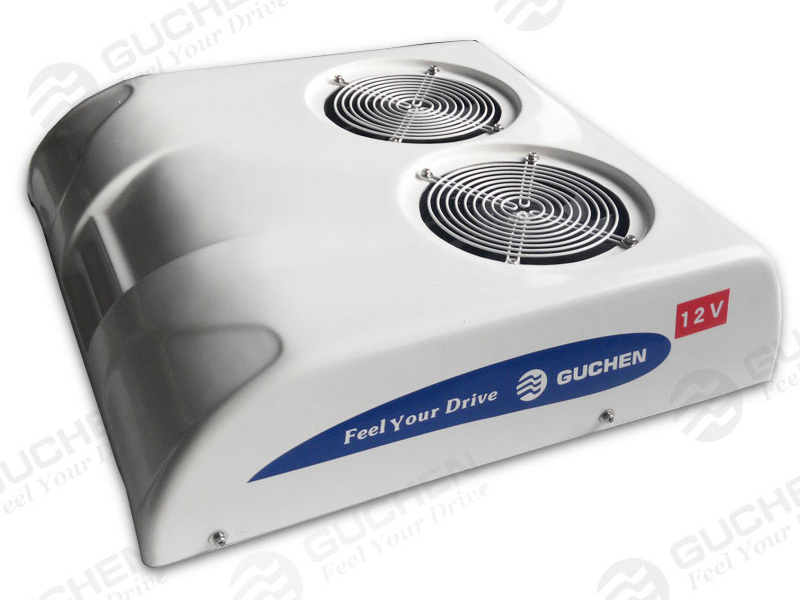 ● Compact design, roof-top mounted, one-body type, easy to install. 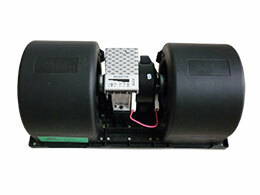 ● Economically efficient, smooth operation, reliable performance. 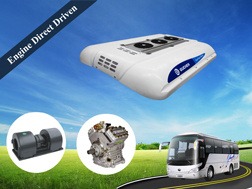 ● Perfect protection function, equipped with safety device. 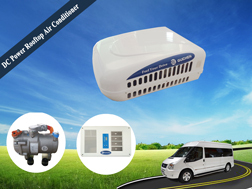 ● Environmentally friendly refrigerants: HFC R-134a. 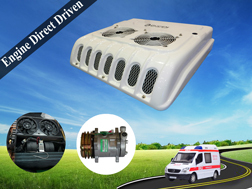 GC-03 sepcial vehicle air conditioning system for all earth moving machinery like mobile crane, excavator, dosser and so on. 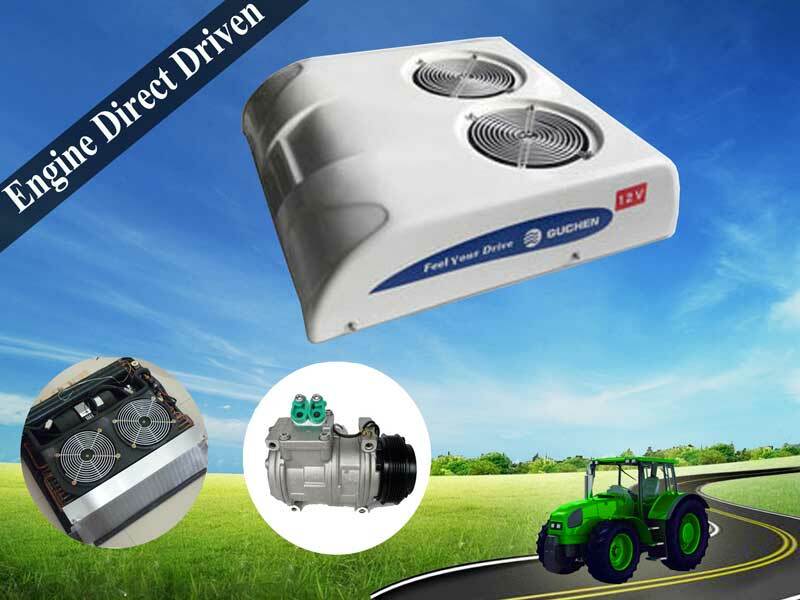 Tractor air conditioner parts including roof mounted condenser and evaporator, condenser fan, evaporator blower, compressor, return air grille, wire harness, control panel, installation kits and other accessories. 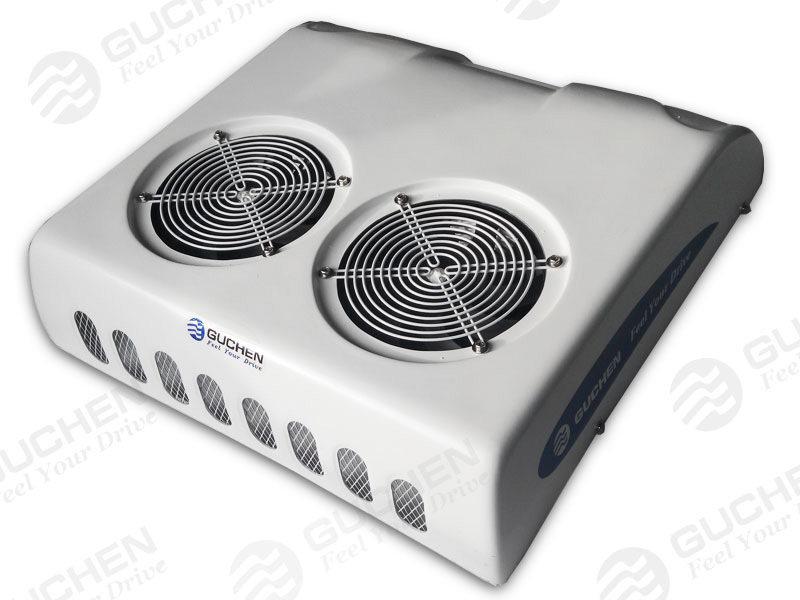 ♥ Copper tube and hydrophilic aluminum fins, strong cooling, and stable refrigeration performance. 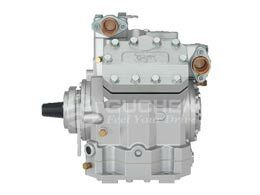 ♥ The 5H11 tractor A/C compressor just have 6 kg, swash plate system, 87 cc displacement. 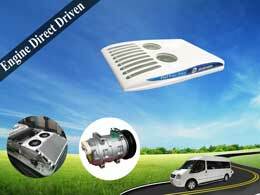 D-LFT housing / shell, Eco-friendly material, high-quality insulation, anti-corrosion, and long service life span. 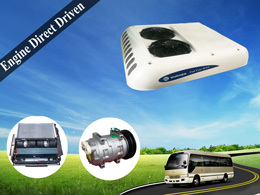 ♥ CAN control system, independent parallel control mode, fast response temperature adjustment.